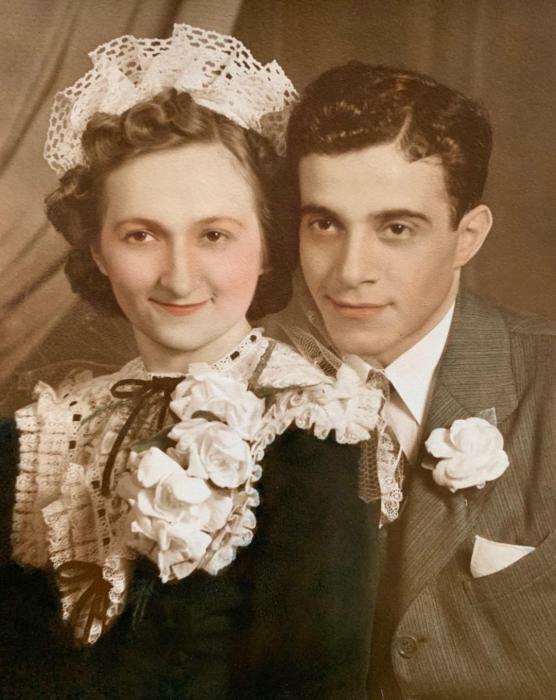 TOGETHER AGAIN-- Julia M. Cetrone (nee: Kamany), age 101, passed away January 29, 2019. She was born on May 7, 1917 in Barberton, Ohio to the late John and Julia Kamany. Julia and her husband Andrew owned the Best Shoe Clinic in Barberton for many years. She was a member of the St. Elizabeth Society, a former member of Holy Trinity, and a current member of Prince of Peace Parish, a member of the Barberton Senior Center, and an avid bowler. Mostly, she enjoyed dancing and taught Hungarian Dancing for over 30 years. Preceded in death by her husband, Andrew. She is survived by her children, Dennis (Juanita), Andy, and Ed; grandchildren, Dennis, Kenny (Joanne), Nick (Tala), Matthew (Sadie), Vickie (Bill) Desatnik and Christen (Andy) Brown; great-grandchildren, Kaylee Desatnik and Lindsie (Jaryn) Scherings; nieces, Joann (Carl) Voight, Sandy (Bill) Tubbs, Judy (Gary) Edmunds, Susan Jeffries, Jen (Joe) Reakes; Nephews: Leo Kamany, John (Donna) Kamany and; great-nieces, Trese, Tina and Cindy; extended family and friends. The family will receive friends, SUNDAY, February 3, 2019 from 1:00-3:00pm at Cox- McNulty Funeral Home, 222 Norton Avenue. Mass of Christian Burial will take place at 10:00am MONDAY at Prince of Peace Parish, 1263 Shannon Avenue, Barberton. (Please meet at the church.) Interment will follow at Holy Cross Cemetery, Akron.